It has been 3 years since we began the expansion of our production center in Slovakia: Technometal, and in August of this same year we have finalized the last updates. 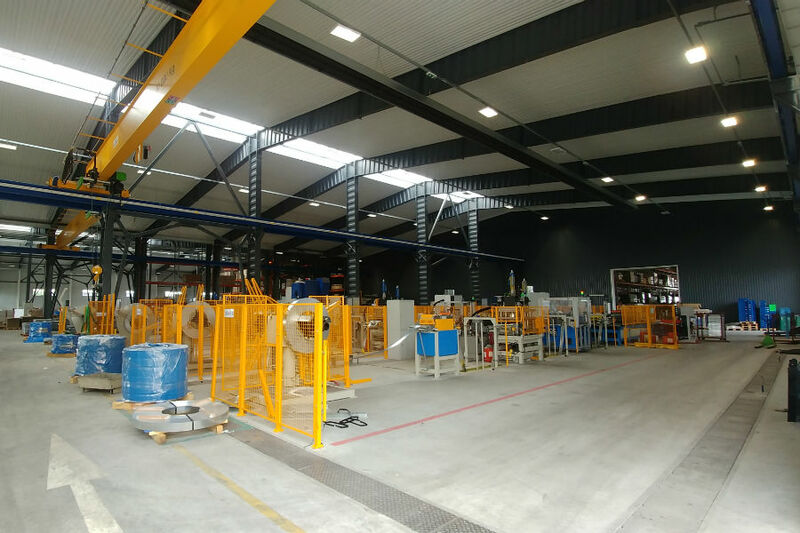 With the new improvements already operative, this plant becomes the European reference for the manufacture of heavy duty shelves. 3,500 m2 for production, with 11 automatic profiling lines and the latest generation EPOXY painting process. The fact that half of the productive space has been destined for storage is another proof of AR Shelving's commitment to quality service. AR Shelving is supplier of the most important companies in the DIY sector. The availability of the most qualitative products in permanent stock, is crucial to ensure the sustained growth of our partners. AR Shelving currently has 2 production centers in Spain and Slovakia, subsidiaries in Russia and Chile, as well as commercial presence in more than 40 countries.